Installing a Fence? Better Survey Your Land First! If you’re considering a fence installation around your home, Advance Surveying & Engineering recommends hiring a land surveyor in Minnetonka before you break ground. Having a professional survey your land can save you time, money, and headaches. Installing a fence is definitely not a DIY job, and a property survey for a fence is an absolute must. 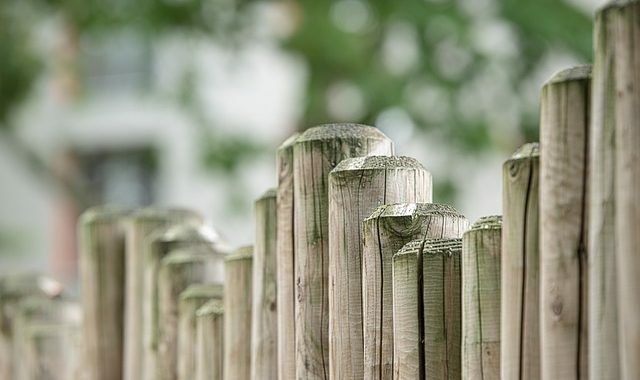 It’s not wise to contract with a fence installer and simply take his word for the location of your property lines before putting up a chain-link fence or a privacy fence. Instead, if you’re serious about doing the job right and within code, hire an experienced land survey company. Fence installation has several variables, not only with the sizing and installation of the fence itself but also in terms of your property line. And while you might be looking to cut costs wherever you can, obtaining a professional survey ensures it’s done correctly and that you won’t have to go back and remove or relocate your fence down the road. Trying to determine property lines via the naked eye or hearsay from a past owner or realtor is a dead-end road. Also, it’s not uncommon for a fence contractor to proclaim a knowledge of where your property begins and ends. This is a sign of inexperience, because seasoned fence companies understand the importance of determining legal property lines. The information that Advance Surveying & Engineering utilizes for its surveys is taken directly from deeds and record plat maps at the county. It is critical to have the latest data at your disposal before you set the first fence post. First and foremost, installing a fence that crosses into your neighbor’s property will upset your neighbor. And depending on his disposition, he may sue you. Additionally, violation of property lines is grounds for a fine from the city council. And then there’s the time, labor, and expense involved with uprooting a fence and reinstalling it. Moreover, it’s quite possible that you may have followed up your fence install by putting a garden, a playset, or a treehouse. All of these things must be relocated as well should your fence be found in violation. Fines, lawsuits, and fence removal and reinstallation all constitute one huge headache. And that’s why the few hundred dollars you spend to survey land for a fence prior to installation is so valuable in the long run. Our land survey company in Minnesota has decades of experience and has completed thousands of survey projects of all kinds. We have extensive experience in surveying and engineering for commercial and residential projects, and we’re a proud member of the Minnesota Society of Professional Surveyors. Contact our team today to discuss your next project and ensure you stay on the right side of local regulations.